This property's price has dropped from £745,000 to Offers in excess of £650,000. 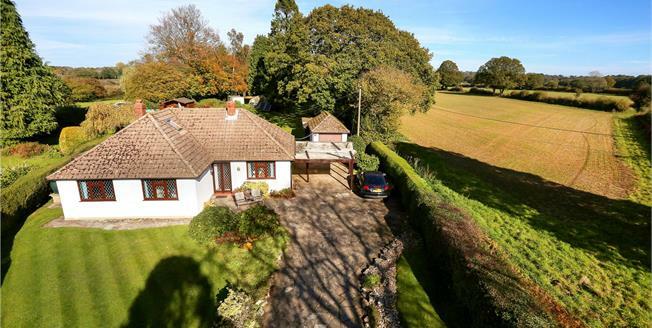 A very versatile individual detached bungalow occupying a truly outstanding and tranquil rural location in gardens and grounds of about 1.4 acres. The generous and flexible accommodation is set around a spacious hall and includes a sitting room with a central fireplace and a wood burning stove together with a door out to the very well-positioned garden room with fine views over the extensive level grounds. The living accommodation is complemented by a kitchen / breakfast room. There are three bedrooms and a family bathroom. 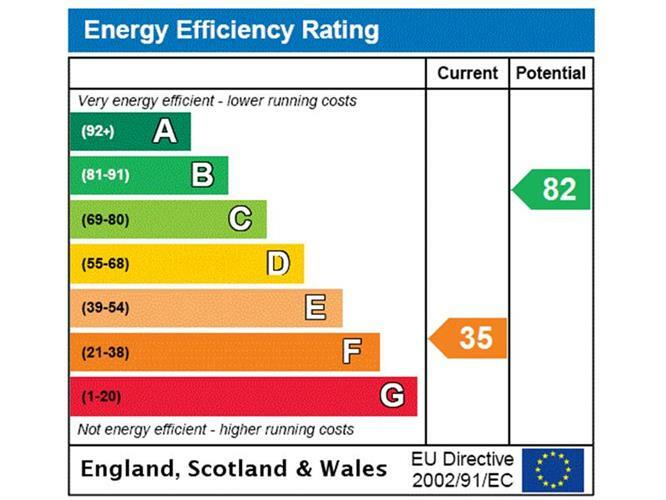 The overall accommodation could be arranged to suit a variety of requirements and could potentially be enlarged and altered, if required and subject to any necessary consents. The gardens and grounds provide a stunning setting for the property with a variety of areas of interest and extend in all to about 1.4 acres. The property occupies an exceptional rural location yet is only about half a mile from Four Marks Primary School. The active and strong village of Ropley benefits from a village shop, post office, primary school (Ofsted rated good), church, village hall and playing fields. The village of Four Marks also provides a useful range of day to day facilities. The market towns of Alresford, Alton and Petersfield offer a broad range of amenities whilst the cathedral City of Winchester provides additional shopping, cultural and recreational facilities. Alton, Petersfield and Winchester also provide rail services to London Waterloo. The property stands within attractive landscaped grounds providing a beautiful setting with expansive areas of lawn and light woodland with a variety of young and mature trees. A paved area adjoins the garden room and provides an ideal outside seating area. A private driveway provides ample parking and access to the car port and garage. There are a useful range of outbuildings with the grounds including an open bay log barn and several garden stores providing extensive storage for garden implements. Of note, the property also benefits from an outdoor covered solar heated swimming pool.